Keto Pina Colada Fat Bombs - Low Carb "Pineapple & Cream" - EASY! 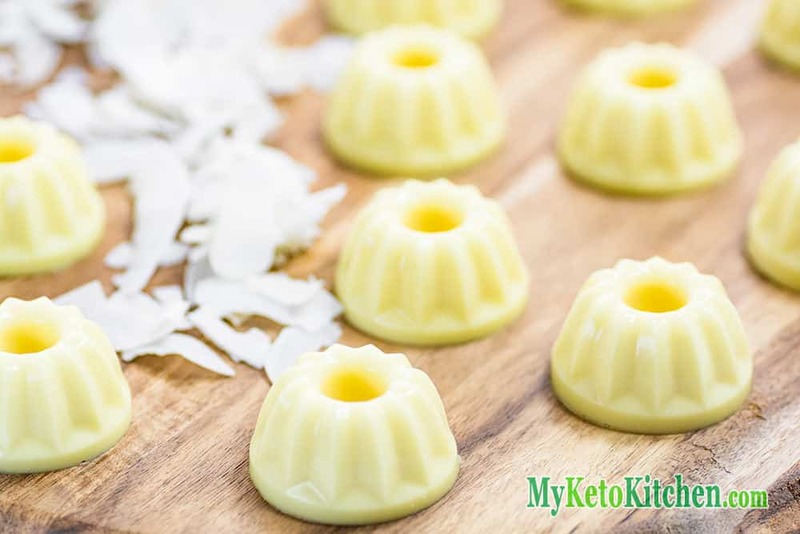 Home » Recipes » Keto Pina Colada Fat Bombs – Low Carb “Pineapple & Cream” – DELICIOUS! Our Raspberry Cream Fat Bombs have been so popular, adding another delicious, and dairy-free, version was at the top of the list. Also any excuse to use another cute silicon mold from our collection! Pineapple is not keto friendly it contains too much sugar. However, we use a natural pineapple essence for flavor which is perfectly fine in the amounts for this recipe. These fat bombs have the perfect fat ratio for the keto diet. The silicon mold that we used made 16 pina colada fat bombs. The serving size is one fat bomb. Store these delicious treats in the fridge in an airtight container for up to 3 weeks. 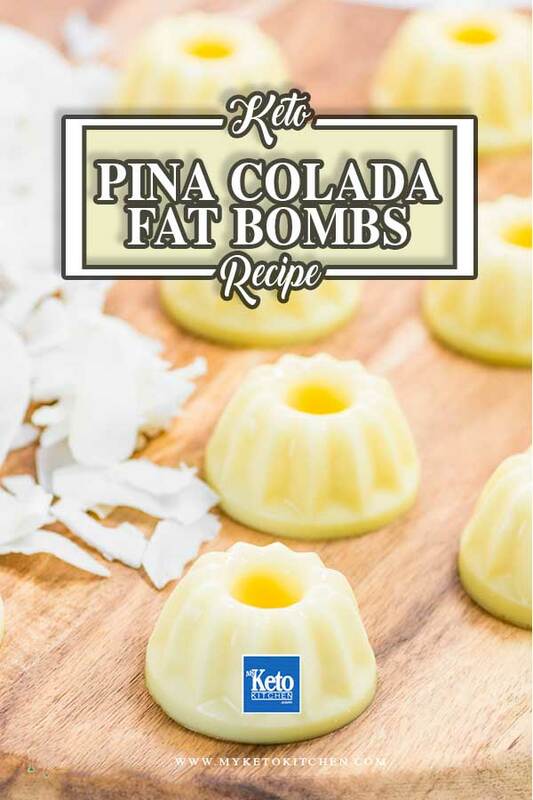 Delicious pineapple flavored creamy fat bombs just like a pina colada cocktail but low-carb and sugar-free. Pour into silicon molds (we used a mini version of this mold but it has been discontinued) and set for at least 1 hour, depending on the size of your mold. If you like our keto Pina Colada Fat Bombs try our other Fat Bombs Recipes you’ll love them! 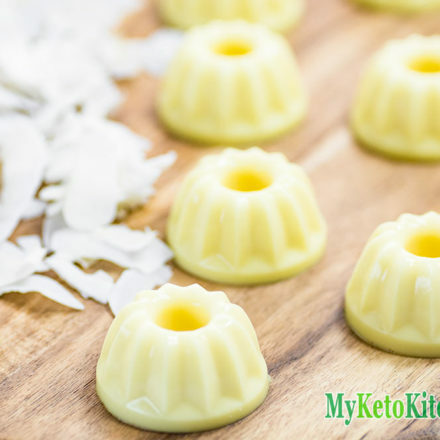 To make a larger batch of this Low Carb Keto Pina Colada Fat Bombs recipe simply adjust the serving amounts in the card above. 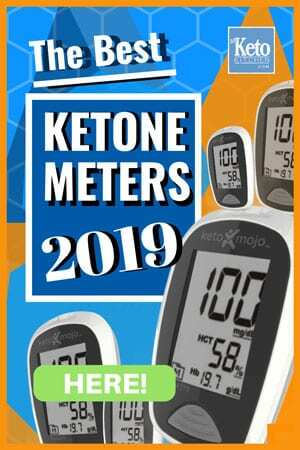 Just starting on a Ketogenic eating plan and having a sweet tooth and craving chocolate, these are wonderful recipes to satisfy thst craving. I will be trying all these recipes, thank you foe submitting them. Thanks for dropping by, but don’t try them all at once ;). Is essence the same thing as extract?? They’re not the same but they work the same way and you can use either interchangeably. OMG I love you for this recipe…thank you!!! It’s SO hard controlling my sweet tooth and I feel very deprived often (10 yrs doing low carb thanks to PCOS and insulin resistance, 10 yrs no Xmas cookies or b’day cake). This recipe combines my love of pineapple, coconut, and in a healthy satisfying fat. Thank you for your kind words! And congrats on 10 years being low carb!